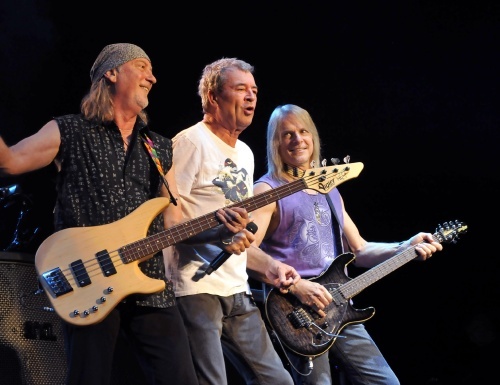 Although Deep Purple cannot be classified as genuine 'prog', in my humble opinion they were and still are a source of inspiration to many musicians all over the world playing music that could be called 'prog'. The band combined classical music with rock-music, (re)defined hard rock and were undoubtedly the co-founders of what we call 'prog-metal' today. Enough reason for me to pay tribute to these Giants of Rock, performing on Dutch soil for the first time in two years. 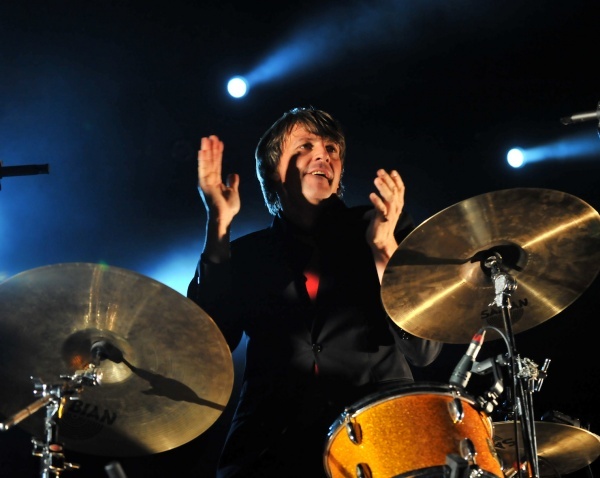 Deep Purple was supported by Triggerfinger, a Belgian trio consisting of Ruben Block (guitar/vocal), Mario Goossens (drums) and 'Monsieur Paul' on bass. Triggerfinger already has several albums to their credit but were obviously very satisfied to play a big hall as the Heineken Music Hall. Block's hair of medium length was blocking his face on the right side (a bit like Human League's Phil Oakey). He used several guitars and sang his heart out. The trio played a nice set of about half an hour, filled with groovy rock songs in the vein of Black Sabbath, ZZ TOP and Deep Purple. 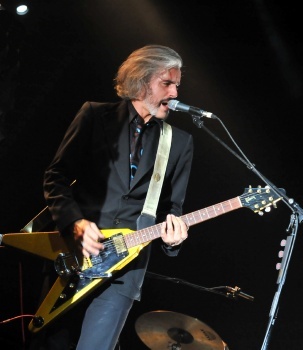 Triggerfinger gained the sympathy of the audience, shown by good rounds of applause after each song. For my taste they would have been welcome to play another 15 minutes! Exactly at nine pm the dinosaurs of hard rock entered the stage, opening with Highway Star, immediately bringing all in the hall to ecstasy. I was surprised by the power of Gillan's voice but unfortunately it did not last for very long. Except Morse (55 now), Paice, Glover, Gillan and Airey are in their sixties and considering their demanding way of life especially during the first 15-20 years of their career it is no wonder time is taking its toll. Gillan, barefooted as usual, tried to communicate with the audience frequently 'handing over' the microphone as an invitation to let the crowd sing, so that he would not have to. The set Deep Purple played was not very long ( less than 1 3/4 hours including encores) and the set contained several songs with longer instrumental pieces and/or longer intro's like in Rapture Of The Deep as well as extensive solos by Airey and Morse. An extra rest for Gillan's vocal chords was provided through Wring That Neck. 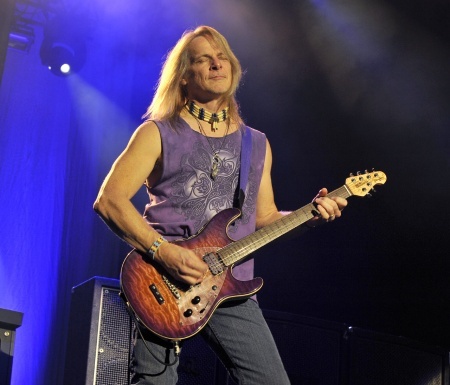 Again Steve Morse proved to be one of the leading guitarists in the world of rock and Don Airey, who had gained quite a few pounds in weight, proved yet again to be an excellent replacement for founder member Jon Lord. Next to the all time favorites like Space Truckin', Fireball, Smoke On The Water, Hush, Strange Kind Of Woman and Black Night, the unexpected songs were Things I Never Said (from Rapture Of The Deep), Wasted Sunsets, No One Came and The Battle Rages On. Strangely enough 'just' four songs from the "Morse - era" including Morse's solo. 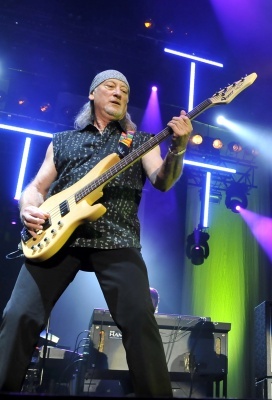 Still it was obvious that Deep Purple would not have been able to maintain their popularity if they would not have Steve Morse in their midst.